Integral e-Drive are to showcase their latest and world leading e-motor technology at Engine Expo 2018 from the 5th to 7th June. This event comes on the back of an exciting period of growth for Integral Powertrain, fuelling a diverse range of new projects. Project numbers are growing as more about the company’s capabilities are discovered by an Electric & Hybrid Vehicle technology and performance hungry market. Meet the Integral e-Drive team on stand E9 615 in hall 9. Talk first-hand about the latest developments and capabilities of its leading power density electric motors. A Digital Transformation of the Integral Powertrain business is taking place. This supports their drive to engineer next generation technologies to power electric and hybrid vehicles. Digitisation and Intelligent Engineering is enabling a ‘Revolution in Motion’ which Integral e-Drive is leading and bringing to the Expo. Today Integral e-Drive fully utilises next generation PLM. This enables them to design, validate and manufacture their unique high performance products ensuring minimal non-recurring engineering and high manufacturing efficiency. Experience has shown that visitors to the stand are likely to have an eye opening experience when they see and discuss the technology on offer from Integral e-Drive today. This represents a must-see when you visit. Success in high performance passenger car and motorsport has been augmented by the creation of a joint venture with Magna (Integral Powertrain Technology Ltd (IPTT)). IPTT is developing and industrialising low voltage mass market applications under the brand SuperGen. John Martin, Director of R&D and Business Development at IPTT will be speaking at conference on day two within the Engine Expo Technology Demonstration Area – HALL 9. His subject, ‘SuperGen: Meeting the Euro 7 challenge without compromise,’ will share insights that will be of interest to many. Integral Powertrain have a superior capability in innovative next generation ICE concepts. This means they are ideally positioned to satisfy tomorrow’s requirements for advanced hybrid architectures and further electrification of the powertrain. The event boasts a lively conference programme within Hall 9 and an extensive technology exhibition where you can learn more about the technologies and meet with some of the people responsible for them. The Integral e-Drive team will be present to welcome you and to discuss the latest technology advances and services. 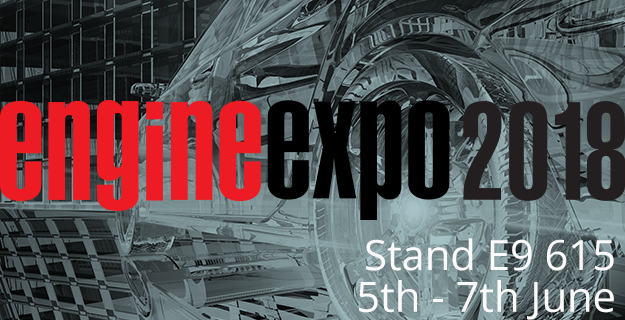 Visit the Engine Expo website.